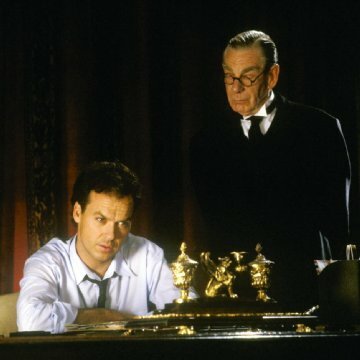 Sean Young was originally cast as Vicki Vale, but broke her collarbone while filming a horse-riding scene with Michael Keaton. The scene was subsequently written out of the script. 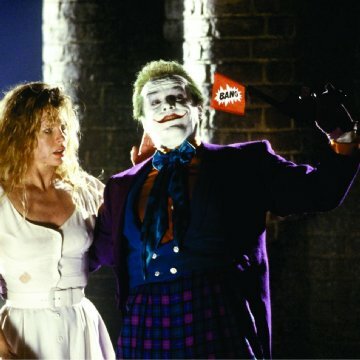 Tim Burton suggested replacing Young with Michelle Pfeiffer but Keaton, who was in a relationship with Pfeiffer, believed it would be too awkward. 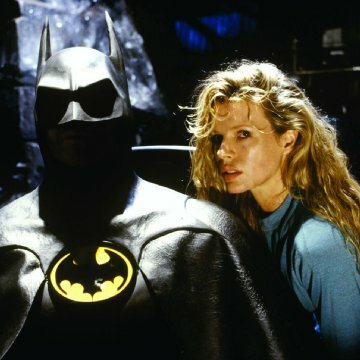 She went on to portray Catwoman in Batman Returns. Jon Peters suggested Kim Basinger and she was cast. 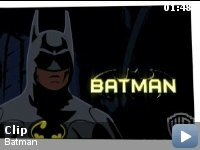 Continuity: At the beginning of the movie, on the rooftop, Batman pulls out a batarang to catch the fleeing crook. The batarang is matte black, ridged, and hinged in the middle. Once it's around the crook's ankle, though, it's shiny black, smooth and all one piece. 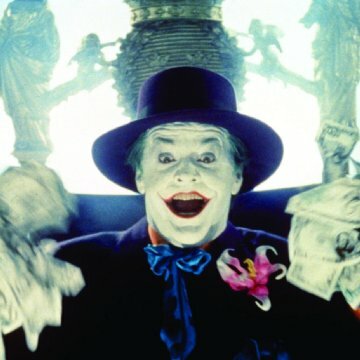 I don't even need to say that this is the best Batman of the series. It's obvious enough. 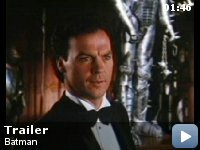 What is all this yap about Michael Keaton as Batman? Yes, he was Batman, and he was a GREAT Batman. He pulled off every aspect of the role perfectly  he was better than Val Kilmer, better than George Clooney, better than everyone. He portrayed the mysterious charm of the winged crusader just as well as he captured the cool and collected character of Bruce Wayne. 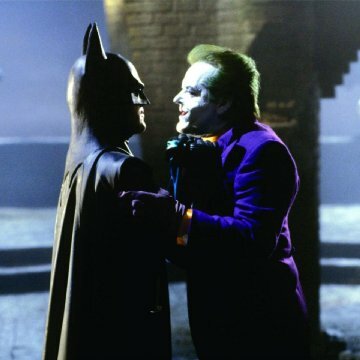 Michael Keaton is a huge part of the reason that this film was such a huge success, the other main portion having come from the tremendous contribution from Jack Nicholson as the Joker. 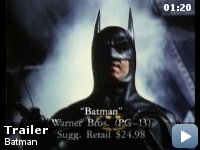 Gotham City is created in incredibly detailed comic-book style, which adds to the overall quality of the movie. Everything, from the setting in Gotham City to the characters costumes to the actual dialogue, gives the unreal feeling of a comic book, but the characters are developed enough so that we understand their problems and we care about what happens. The movie is a thrill ride from the beginning to the end, and is enjoyable for all ages. If anyone is going to complain about who was chosen to play Batman, there is much more room for complaint among the film's several sequels. Keaton did a spectacular job that no one has ever even come close to.